With the construction boom reaching over $300 billion by the early 1990s in the United States alone, this comprehensive and accessible guide is more important than ever for the budget-minded contractor. Presenting quick engineering know-how for the performance and satisfactory completion of construction using commonly recognized equipment, it deals with the physical concepts of the work, the surrounding conditions and equipment requirements, with an emphasis on controls governing the equipment's performance. David A. 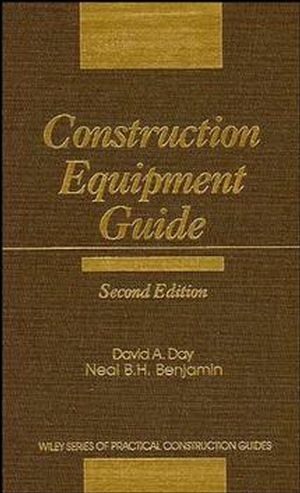 Day and Neal B. H. Benjamin are the authors of Construction Equipment Guide, 2nd Edition, published by Wiley. Portable Air Compressors and Air Tools.